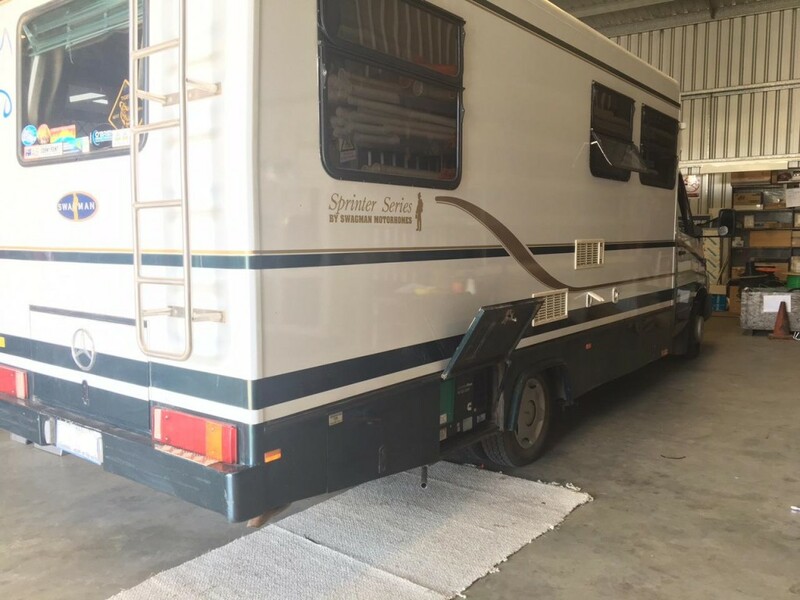 If you store your RV over the winter, or don’t operate it often enough to refuel the petrol tank every month, you could develop a fuel varnishing problem in your generator engine. Fuel varnishing is a gummy residue that clogs the generator carburettor and fuel pump. It’s caused by the deterioration of fuel that sits in the engine too long, and it happens in a surprisingly short period of time. Depending on fuel quality and storage conditions, gasoline can deteriorate in as little as 30 days. As long as you refuel frequently with fresh gasoline, and exercise the unit regularly, fuel varnishing is less likely to occur. But if you leave the same gasoline in the tank for several months, you’re very likely to have problems. Fuel varnishing affects many engines but it’s more noticeable in generators because the engines are smaller. Even the slightest decrease in efficiency has a big impact on performance. A generator with varnish buildup may start but run like it needs a tune-up. It surges, accelerating and decelerating, but rarely settles at a stable operating speed. In many of the gasoline powered units, engine speed directly affects generator voltage output and frequency. As speed increases/decreases, so does the voltage and frequency. The only ways to prevent fuel varnishing are to treat the contents of the tank supplying fuel to the generator with a fuel preservative and to exercise the set. Many quality fuel preservative and stabilisers are available. We recommend adding this preservative to the petrol, especially on infrequently used RVs. Emptying the tank won’t prevent fuel varnishing because a small amount of fuel always remains in the generator carburettor. If you plan to leave the tank empty, we recommend that you add a special mixture of fuel and a preservative before you run the tank dry so the residual fuel contains the preservative. Once varnishing has occurred, adding a preservative won’t correct the problem. You need to add a fuel cleaner, and manually scrub the varnish from the fuel system parts. By understanding how to properly care for your RV generator and protect against fuel varnishing, you’ll enjoy better performance and longer operation. It may seem strange that “not” using a product causes it to fail faster. With generators, though, that’s exactly the case. Important: Problems caused by fuel varnishing will not be covered under warranty.